The coffee bean has a bit of a mysterious past. As one of Planet Earth’s most ancient forms of stimulants, there was a natural progression from its immediate discovery to the modern-day form of coffee, which millions of humans consume on a daily basis. According to multiple sources, there seems to be the common legend of an Ethiopian goat shepherd named Kaldi who noticed his flock was acting more energetic after consuming some small red berries. Kaldi brought the curious beans to monks and the group stayed awake the entire night, mesmerized by the stimulating power of the little red berries. This story has been passed down in oral tradition by many African ancestors, so it is difficult to determine when the actual discovery of the coffee bean took place, although many historians believe it may have been around 1500 A.D. to 1000 A.D. In its most basic form, coffee is actually a cherry-like fruit that contains one bean in the middle of the berry. Once discovered, the fruits were often mashed together with animal fat to create energy-boosting protein bars. Eventually, the berries of the coffee plant were fermented to make a wine like pick-me-up and then, around 1000 A.D., drinks were made using the entirety of the coffee fruit. Finally, around the 13th century, the beans of the coffee plant were roasted and used in Arabia by the Muslim community, who were drawn to the stimulating power of the fruit which proved to be helpful during long prayer sessions. When Arabians were able to parch and boil the coffee beans over water, the beans grew infertile, leaving the African and Arabian regions to maintain a complete monopoly over the coffee trade until the 1600s. Sometime within the 1600s, an Indian pilgrim named Bada Budan smuggled coffee beans out of the region thereby creating a European competitive market for the coffee trade. In 1616, the first European owned coffee shop was created in Sri Lanka, then Ceylon followed, and one more in Java. The French got had their hands in the coffee industry and followed suit by opening a coffeehouse in the Caribbean. Soon after, Spaniards began opening up shop in Central America and the Portuguese joined in the fun by launching shops in Brazil. European cafes finally began opening, where the popularity of coffeehouses grew rapidly and exponentially. The image of a Parisian sitting at a coffeehouse, sipping a cup of coffee, and eating baguette is practically ingrained as stereotypical French scenery. Coffee reached the newly colonized North America in early 1700s, although did not make the switch until after the Boston Tea Party, where it became a patriotic duty to boycott the mother land’s drink of choice and begin drinking the exotic coffee fruit. Civil war soldiers used it for a boost during long hours of treacherous battle and U.S. President Teddy Roosevelt was rumored to drink over a gallon of coffee per day. By the late 1800s, the coffee business was booming and two Pittsburgh based brothers, John and Charles Arbuckle, purchased the new invention of a self-emptying coffee bean roaster which then produced the idea of selling coffee beans in paper bags to American Westerners. Big brand names, such as Maxwell House and Hills Brothers, followed the idea creating readily available coffee for the entire nation of the United States. Coffee has a mystical and powerful history that we could never know for sure; however it is very clear with the emergence of the interesting little coffee fruit, changed the way humans stay amped up throughout our long days. Coffee has been a natural boost for humans since the discovery of its motivating powers and undoubtedly has continued to be a staple of earthly energy throughout the entire world. When you cut out the fluff and get down to it, single origin coffee is a bean harvested from one location geographically. This location might be a country, state, or even a single family farm. These small harvests from an individual family farm is a type of single origin coffee known as “Estate Coffee” and is most widely sold to independent coffee roasters and retailers. By knowing the exact location from which a coffee bean is sourced, small batch coffee roasters are able to compete with large chains and provide the most honest “single origin” coffee available. Coffee growers wishing to provide an even greater level of appreciation for their harvests might describe a batch of beans as a “micro lot” coffee. A micro lot coffee bean is grown and harvested on a single parcel of land on a section of an estate. Coffee farmers are then able to choose certain growing techniques or harvesting methods to suit particular taste buds. What's So Great About Single Origin Coffee? The beautiful thing about single origin coffee lies within its simplicity. When a coffee roaster creates a blend, they are taking a few different single sourced coffee beans and combining them to develop a more complex beverage. They'll pick one bean known for its aroma, another for its mouth feel, and another for the bitterness to its taste. The problem with blends is that while one coffee drinker may enjoy a particular part of the blend, they may not care for another. When a roaster chooses to purchase and deliver a single origin coffee bean, they're allowing their customers to very carefully select the part of the coffee experience they find most appealing. This very choice is what drives consumers towards independent coffee retailers and away from that coffee roaster who's on every corner. No two batches of coffee are ever perfectly alike, but single origin coffee is the closest you'll get to stability and reliability in your coffee's flavor. Coffee grown in Sumatra is a great example of a single origin coffee that is quite popular for its reliability of flavor. Grown on the island of Sumatra off the Indonesian coast, the coffee brewed from these beans has a taste that is distinct and full bodied. Many coffee drinkers would be happy to drink only a Sumatran brew for the rest of their lives! The dependability of flavor is what most drives people to choose a single origin cup, whether it is from Sumatra, Ethiopia, or a small farm like Giri Estates. Choosing the perfect single sourced bean for your personal taste is the ultimate way to enjoy a cup of coffee every morning. White tea gets its name not from the color of the beverage but from the tiny white downy “hairs” that grow on the buds of the Camellia sinesis, or tea, plant. These buds, usually along with other young leaves of the plant, are picked and minimally processed--typically left to dry out naturally in the sun. The leaves can also be steamed. Either way, the tea leaves are withered to a point where they are ready to drink without having to crush the leaves. Despite not having many steps, white tea has stringent requirements and cultivating it can be a difficult procedure. Therefore, white tea can be little more costly than other types of tea. Because it comes from the same plant used to make black tea and green tea, white tea has similar properties and benefits. There is caffeine in white tea, and while it depends on the method of brewing and the type and brand of tea, expect an average around 15 mg per 8 ounce cup. It is believed that the longer the tea is steeped and the hotter the water, the more caffeine is likely to be infused into the water. Most sources of white tea come from plants in Fujian, China, that tend to have naturally lower occurrences of caffeine. However, Silver Nettle, widely regarded as the best white tea on the market, can have a significant amount of caffeine. White tea contains the same antioxidant polyphenols that give other teas their many health benefits. Because this type of tea is minimally processed and the leaves are so young and tender, it is believed that they have a higher antioxidant content than other types of tea. It also contains L-theanine, which helps tea provide a gentle and calming effect even as the caffeine stimulates your system. It can even increase dopamine, which would elevate your mood. 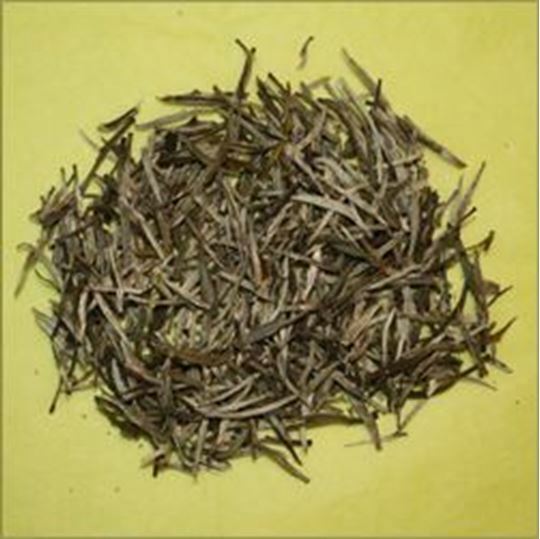 When brewed, white tea tends to look pale yellow. It creates a liquid that tends to taste subtle and sweet, which is why some tea companies blend the tea leaves with other herbal or fruit essences. This adds a depth of flavor without requiring extensive brewing time. If you are looking for pure white tea, however, try either Silver Nettle or White Peony (which can also be labeled as Pai Mu Tan or Bai Mu Dan). Both will provide you with an excellent understanding of the delicately exciting flavor white tea has to offer. Green tea is something most health-conscious people prefer today. Yet, there are many who like to have their tea black. So, which of these is a better choice? Although the plant from which they are made is the same, the difference lies in the processing. Minimal processing is enough for green tea leaves, while black tea leaves undergo fermentation, which is a thorough oxidation process. This brings about a difference in the nutrient content of both. A look into the various health benefits that are provided by these two types of Tea will help you understand which would be a better choice. Fluoride Content: The fluoride content present in green tea and black tea is helpful in supporting the health of teeth and bones. Comparatively, the amount of fluoride provided by Black tea is a bit more than green tea. Cancer Prevention: When it comes to cancer prevention, Green tea fares better than black tea. It contains flavanols and catechin (EGCG), which are very effective in fighting cancer. Cardiovascular Benefits: Both types of tea are good to improve the health of your heart. Drinking black tea can improve the functioning of your blood vessels, which is especially useful in case you are suffering from coronary artery disease. Green tea, on the other hand, promotes autophagy that helps in keeping down your stress levels. Caffeine Content: Caffeine content in black tea (42 to 72 mg) is more than green tea (9 to 50 mg). Caffeine is useful in increasing your mental alertness, reducing your weight and boosting your productivity. Green tea is more preferable in this regard. Green tea is a healthier option because of the content of polyphenols and antioxidant properties. It is used in a lot of weight-loss programs. It is best to have green tea during afternoons or evenings. It is effective in washing off acidic waste from your body. It detoxifies the body, gives the skin a glow, boosts the metabolism and improves immunity. Black tea on the other hand hydrates your body, improves blood flow to your brain and helps you concentrate better, while also strengthening your immunity through bacteria-fighting antioxidants. It is best to have black tea first thing in the morning. As it is more acidic in nature, it is recommended to take black tea with some lemon added to it. While making green tea bring 220ml of water to a temperature of 80°C. Add to this about two grams of green tea leaves. Allow it to settle for a period of three minutes. Use a strainer to strain the tea and have it without adding anything. The 220ml water has to be heated up to 100°C to make black tea. Once you add about two grams of black tea leaves, allow the tea to sit for about four minutes. After you strain the tea you can add lemon, sugar, cream or milk before drinking it. 1. On average, an 8-ounce cup of black tea has around 50 mg of caffeine, which is a fairly moderate amount (for comparison’s sake, coffee has roughly double that amount). However, the amount of caffeine in your tea can fluctuate depending on a variety of factors. Some brands of tea have naturally higher caffeine levels than others, just based on their oxidation process (the withering process used to make black tea “black”) or the location of their crops. The hotter the water you use, the more the tea leaves will infuse the water, which results in a slightly higher caffeine content. Likewise, the longer you steep your tea, the stronger it will be. It also depends on the method of tea you use: tea bags, especially those with small or broken tea leaves will have a different caffeine content than loose leaf varieties. 2. Some scientists believe that Camellia sinensis, the plant that tea leaves come from, may have evolved caffeine as a natural deterrent for insects. Depending on the insect, caffeine can make them too disoriented to function, suppress their appetite until they die, or even prevent them from reproducing. Younger leaves have more caffeine because they are more useful to the plant itself, thereby needing more protection from the insects. Leaves that are older gradually lose caffeine as they become less valuable to the plant. 3. The caffeine in black tea does not make you jittery in the same way as other caffeinated beverages. Black tea contains the amino acid L-theanine, which actually helps to relax your brain without making you drowsy. It increases alpha waves in your brain, which occur when your body is in an alert but rested state. The jittery feeling in your body caused by caffeine increasing the speed of your central nervous system is counteracted by the L-theanine. Therefore, you receive all the energy boosting benefits of the caffeine but without that nervous, anxious feeling. So there you have it: three things you might not have known about the caffeine in your black tea. The next time you brew yourself a cup, sit back and enjoy black tea’s ability to calmly energize you so that you are ready to take on your day. Everyone has their favorite go-to hot beverage. But in a battle of coffee vs black tea, is one really better than the other? Let’s take a look at both beverages: both are reasonably low in calories—usually single digits depending on the brand--before adding creamers, milk, and sweeteners. Both contain caffeine, but which one has more? They also each have reported health benefits for regular drinkers, but do you know what they are? Read on to see how your beverage of choice stacks up. When looking for a big jolt of caffeine, most people reach for coffee, and rightly so: coffee has more caffeine than tea. This makes it the perfect choice to get you going in the morning or for a late-afternoon pick-me-up. And everyone knows that nothing says good morning like the delicious scent of coffee brewing. Drinking coffee also has several interesting benefits. The caffeine content in coffee has been attributed to everything from helping prevent Alzheimer’s by reducing plaque in the brain that is believed to cause dementia, to curing migraines through blood vessel constriction and reducing inflammation. It can even help alleviate asthma symptoms because it relaxes airways. Taking a coffee break has long been believed to reduce stress. Whether it is from the beverage itself or the mental escape a change in activity provides isn’t completely clear, but most coffee drinkers can attest to this particular benefit. While black tea has a higher caffeine content than other teas, it has less caffeine than coffee. An amazing benefit to black tea, however, is polyphenols. These plant-based antioxidants can help protect cells and impede the growth of tumors according to the National Cancer Institute, possibly preventing some types of cancer and inhibiting the spread of others. Tea’s amazing antioxidants also have the potential to lower blood pressure and promote heart health. A University College London study showed that after a cup of tea, people are better able to bring their cortisol—a stress hormone—levels back to normal. This proved something that tea-drinkers have known for a long time: sitting down with a cup of hot tea can be very relaxing. Both drinks have benefits, and with mild to moderate consumption have little to no side effects. So don’t feel guilty about that morning cuppa or afternoon tea. Here at the Decken Coffee Company, we recommend stocking up on both coffee and tea, this way you always have the beverage you’re craving: whether it's flavored or traditional, we’ve got you covered with the highest quality ingredients shipped right to your door. As I sat by my window drinking an evening cup of tea with my wife, I started to feel pretty good and energetic, and the question of caffeine came into my mind. It’s so common to hear from blogs and other tea lovers that one kind of tea has more caffeine than another, or that green tea has less caffeine than black tea or coffee. Feeling a bit curious, I decided to look into the topic to find out more, and there sure was a lot to find out. For every question I had, there were abundant answers, and though many of them came to the same conclusions, there were just as many which didn’t. What I found out is that the reason for the varying degrees of caffeine in tea is due to the almost endless amount of factors contributing to what makes teas what they are. For the sake of keeping this readable, we’ll keep it simple and focus on the amount of caffeine in green tea. The first search result I found said that there were between 24mg and 45mg of caffeine per 8oz cup of green tea. That is helpful, but it is quite a large range. To understand why this is so, it helps to look at what tea is, how it is produced, and how it is prepared. Camellia sinensis, commonly referred to as tea, is a plant grown around the world with the two largest producers being China and India who combined make up more than half of the world’s tea production. Its leaves are plucked from the plant, and go through processes including, withering, rolling , oxidizing and drying. These processes not only change the same plant into what we know as green and black tea, among many others, but they also play a role in how much caffeine is present in the leaves. One kind of tea grown in the same soil but picked at different stages of growth can have an effect on the tea. It’s been reported that tea picked young tends to have more caffeine than that which is allowed to grow. Similarly, the same tea variety grown in different soil can have a different profile altogether as well. During the processing stage, longer withering at higher temperatures tends to lead to more caffeine content. Considering all of these factors, it would be tough to guess if the caffeine in your green tea would be closer to the low 24mg amount , or the higher 45 mg side. Now to the most rewarding step- steeping your tea. It is the easiest thing in the world to do. Simply remove the leaves from your container, place them in the tea pot of your choice, then add hot water and wait for the right amount of time before removing the leaves. For tea lovers, this beautiful simplicity can take on the form of a sacred ritual. There isn’t as much you can do to change the amount of caffeine in your tea at the steeping stage, but the temperature and steeping time can have a small effect. If you happen to have a slight sensitivity to caffeine or just prefer less of it, you could pre-steep it for 10-20 seconds to remove 5-10% of the caffeine. To remove a more significant amount would require you to steep it for many minutes which would likely remove all the flavor. For those with extreme sensitivity to caffeine, it’s advised that you seek professional advice as claims that a 30 second steep will remove all caffeine from tea are false. As you can see, there is no easy way to answer what amount of caffeine is in green tea. And this leads us back to the best thing about tea itself, which is that it is best enjoyed slowly and for its soothing properties. We can sip tea while reading a book by the window, enjoying the sounds of a rainy day, or with friends and loved ones in deep conversation. One sip at a time, in total relaxation and no concern for what the contents of this ancient beverage are. In the 17th century Babu Budan smuggled coffee beans into India. They were planted in southern India in a region which has become known as the Bababudan Giris. India is mostly know for their production of teas, Darjeeling, Assam and Nilgiri are wonderful tea producing regions, however India produces just over 5 percent of the worlds coffee which makes it the 6th largest producer in the world. Coffee is mainly grown in three areas in southern India which are Kodagu, Chikmagalur and Hassan. These farms grow both Robusta and Arabica beans. Most of the coffee grown in India is exported to Italy, Germany and Russia. The beans grown in Chikmagalur have have a medium body with low acidity and medium to intense aroma. 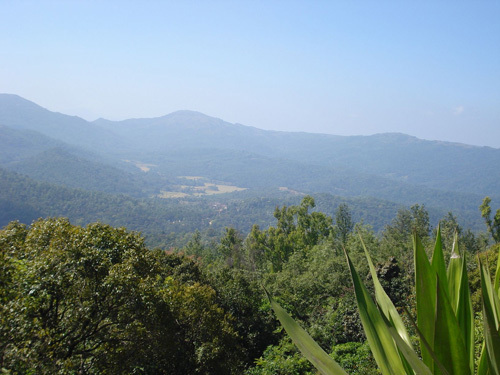 Chikmagalur is known as coffee land in Karnataka. Most of the coffee grown in this region is grown at 4000 ft above sea level. Our Chandrakan estate is in the Chikmagalur region. 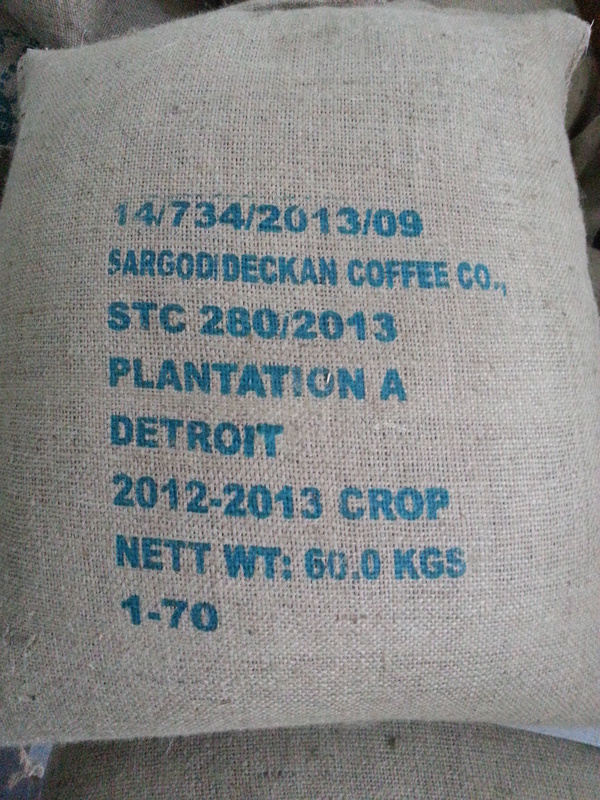 We import our coffee to Michigan where we roast locally in small batches.